Choose classic elegance in timekeeping with this sophisticated brown leather strap watch from the St Mawes collection by Daniel Wellington. Crafted with a sleek stainless steel case and fresh white index dial. 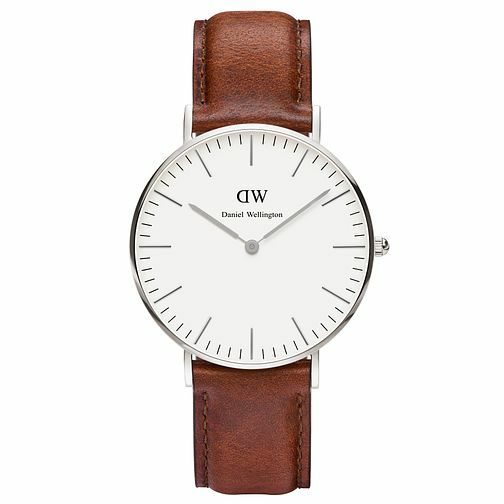 Daniel Wellington St Mawes Ladies' Brown Leather Strap Watch is rated 5.0 out of 5 by 1. Rated 5 out of 5 by Anonymous from Excellent product and very quick delivery. So happy with my watch! Wouldn’t hesitate about ordering again. Thank you!